This is a more modern style Charlies Angel costume. This costume would be great for an american, TV, movie or Hollywood themed party. 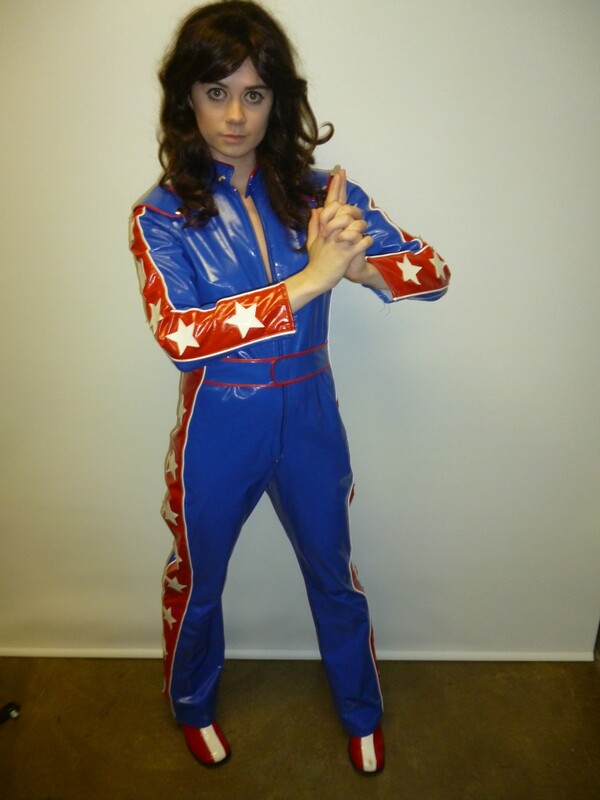 The Charlies Angel costume can be coupled with jumpsuit and wig which is separate and an additional cost.